Wings of Glory – Tripods & Triplanes On Kickstarter Now! In Wings of Glory – Tripods & Triplanes from Ares Games (On Kickstarter now! 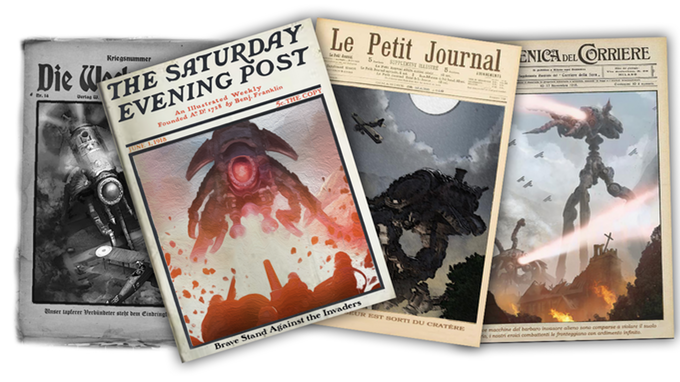 ), the knights of the air of WW1 battle against colossal fighting machines sent by the Martians to invade Earth. 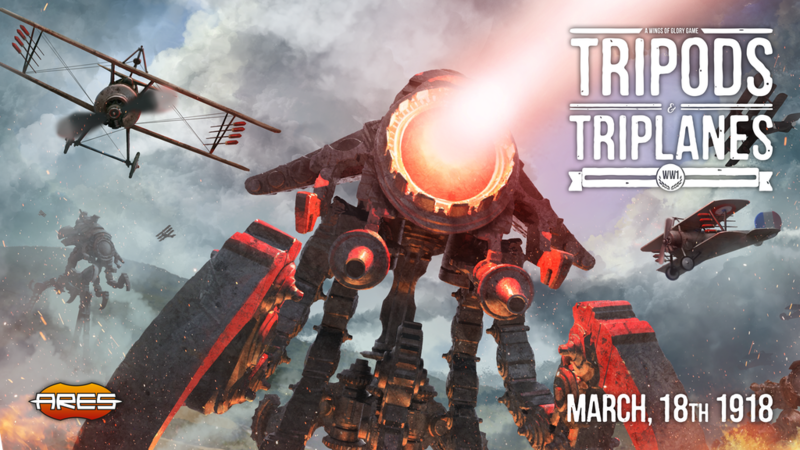 Take control of an awesome Martian Tripod, set upon bringing death and destruction on our planet… or fly on the most advanced flying machines created by Mankind during World War One, and try to use them to win the War of the Worlds. March 18th, 1918: the nearest approach of planet Mars to Earth. The First World War suddenly changes into a War of the Worlds, when what appears as a meteor shower falls over a wood in Alsace. A few hours later, just after dawn, an army of giant alien fighting machines appear out of the trees and starts burning villages and houses with their lethal heat-rays, leaving pestilential trails of black smoke behind them. A truce is hurriedly signed between the warring nations and, against the advancing Martian tripods, the best war machines of Earth are dispatched, manned by the most gallant and skilled warriors of our planet! 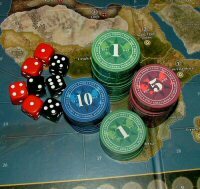 Tripods and Triplanes is a new, stand-alone game, but it is fully compatible with the WW1 Wings of Glory collection. With Tripods and Triplanes your aerial battles will never be the same!